"Art should be in the foreground!" A 1.5 mm thick steel sheet is folded into a stable shape. The geometry of the folded sheet forms a shadow gap on the wall, thus enabling almost invisible attachment. The shelf elements are simply attached to two height-adjustable brackets that disappear once the 67 CDs are placed on it. 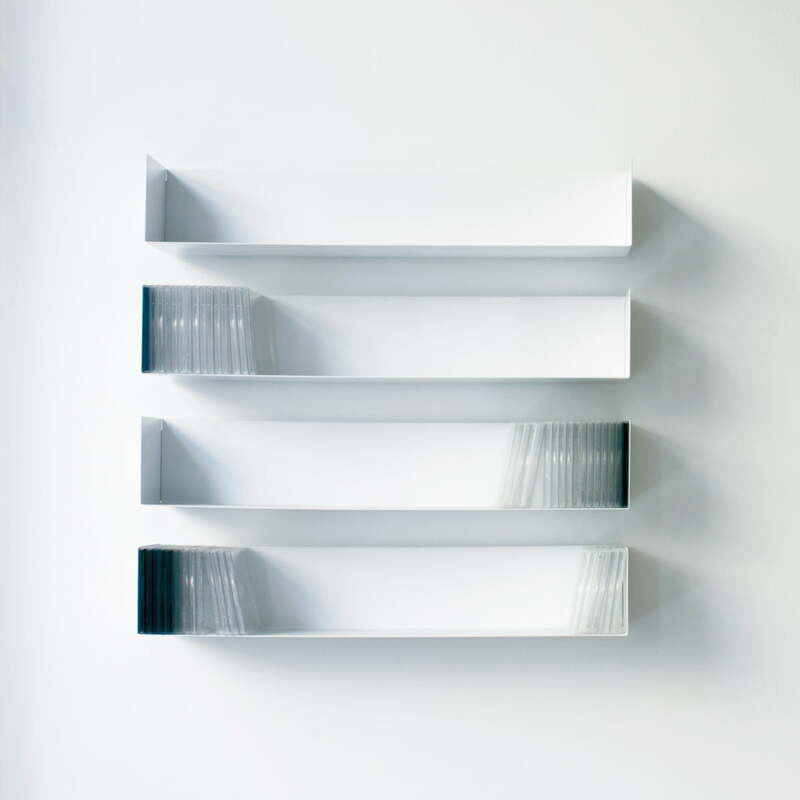 Because of its innovative design, the Linea1 b CD shelf was nominated for the Interior Innovation Award 2008 in Cologne. 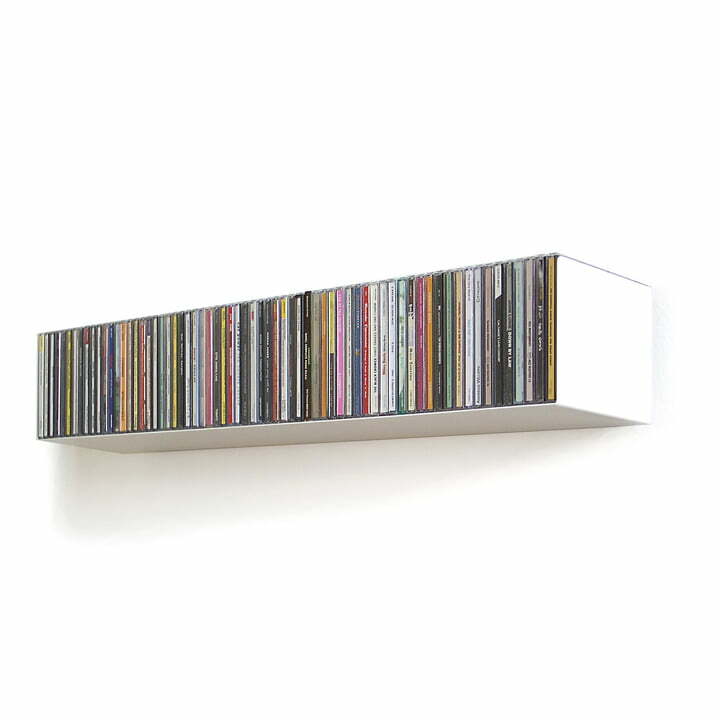 The b CD-shelf by linea1 is a proficient way to display 67 CDs. 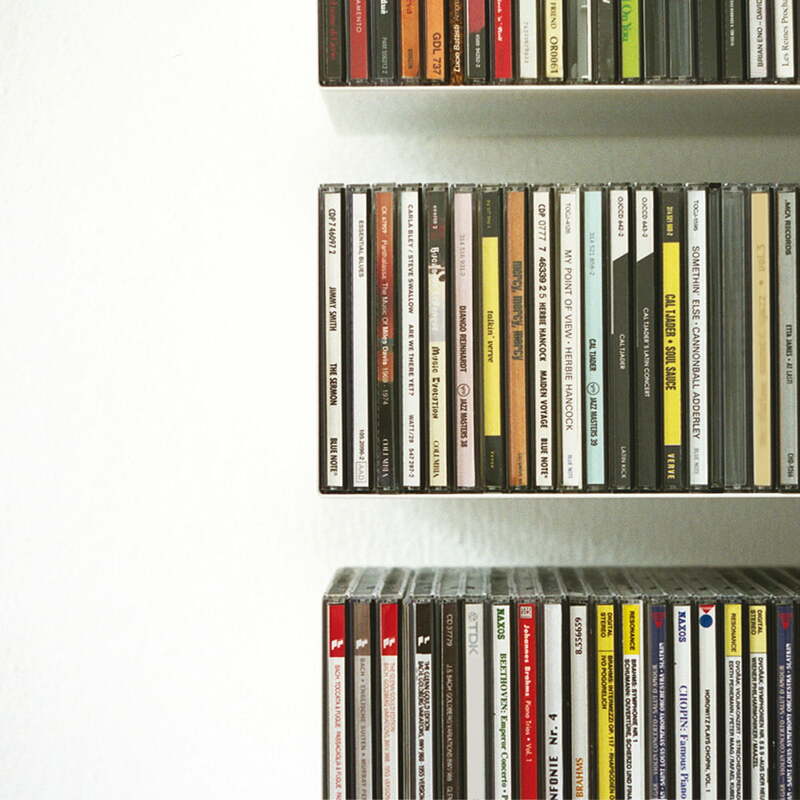 The subtle, white CD-shelf stands in the background in an unobtrusive way and therefore the CDs seem to be floating on the wall by themselves. 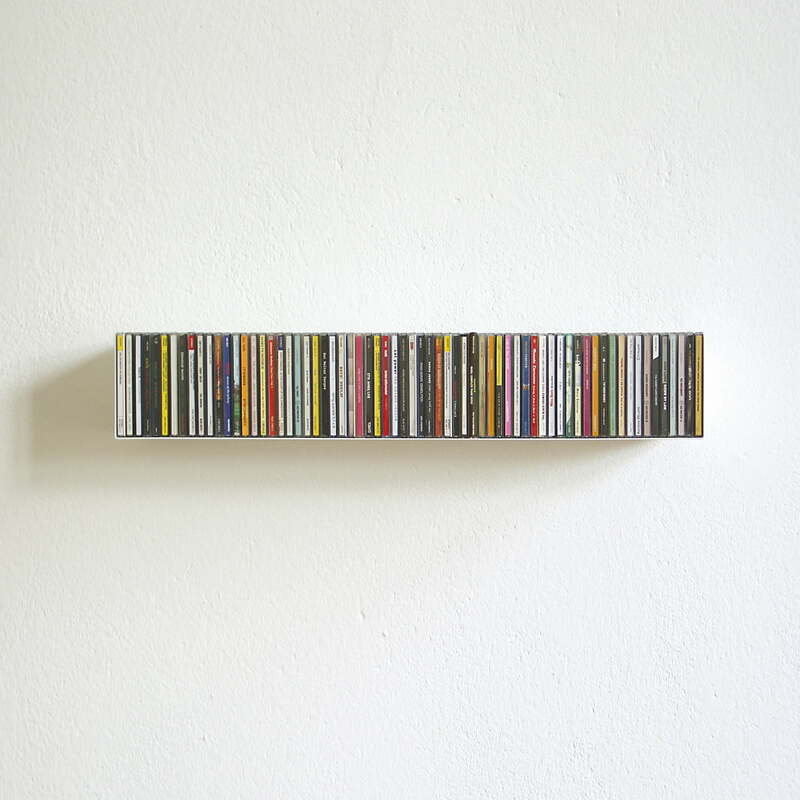 The b CD shelf by linea1, designed by Francesco Apuzzo and Irina Jurasic, puts the CDs in the foreground and itself in the background. 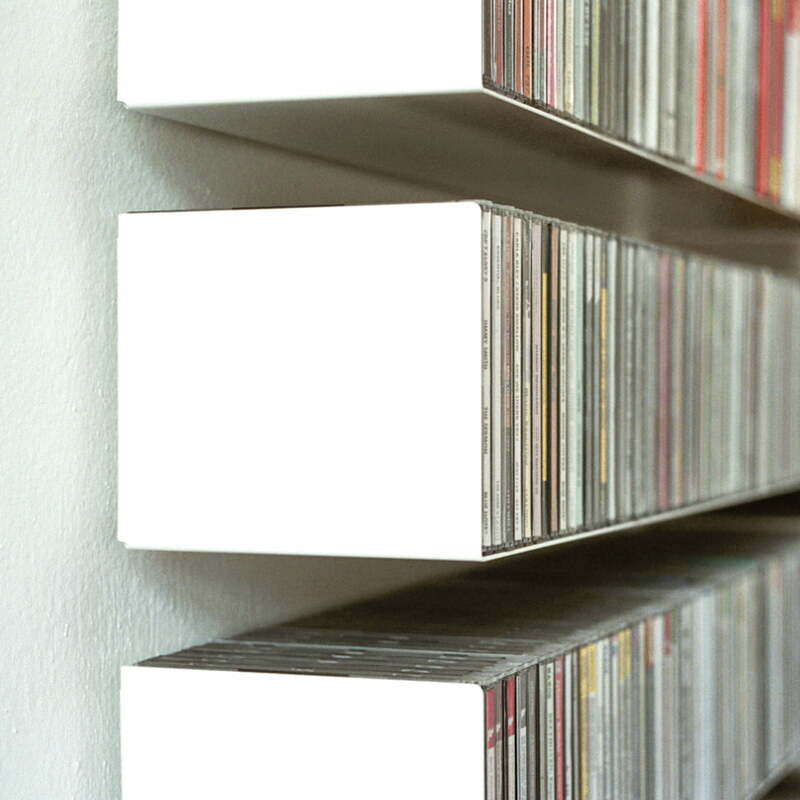 The design is so subtle that the CDs seem to be floating close to the wall without any help.